Take your $600 smartphone and throw it straight in the trash! Have you ever wanted to externalize your frustration with how connected modern technology is by pointedly ignoring what our tech overlords want us to buy? Then you’ll be delighted to learn that this year’s hottest cultural trend is none other than the humble flip phone, an object you can probably find forgotten in a junk drawer at your parents’ house (with no charger, of course). 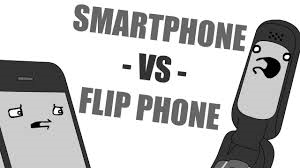 Thanks to widespread 1990s nostalgia, and the ever present dread of knowing how tech companies hold all the data of our lives, the obsolescence of the flip phone has turned into a sort of modern day security blanket. With all of the coverage these old timey gadgets have gotten so far this year, it seems like everyone with even a slight dislike of technology is thinking about it.